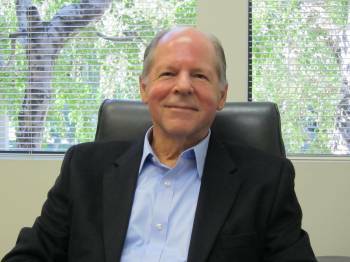 Ken Malovos is a mediator and arbitrator in Sacramento, CA . Previously, he was a trial lawyer, as a public defender for 12 years and a business litigator for 25 years. He is a graduate of Stanford University (philosophy) and UC Hastings College of the Law. Ken is a past president of the Sacramento County Bar Association and Legal Services of Northern California. He is a panel member for the American Arbitration Association, a fellow in the College of Commercial Arbitrators, a member of the National Academy of Distinguished Neutrals and a member of the California Academy of Distinguished Neutrals. This is his first novel. He lives in Sacramento with his wife. You can visit Ken Malovos’ website at www.malovoslaw.com. Q: Would you call yourself a born writer? A: I have never seen myself as a born writer, but I can say that I love to write. For most of my life I have written non-fiction, either writing essays in college or case summaries in law school. As a lawyer, it was writing legal briefs and as an arbitrator, it is writing arbitration awards. There was a creative aspect to all of this, in that I had to learn how to express myself so that someone else can understand it and, in some cases, be persuaded by it. I have always loved writing and I promised myself that someday I would write a novel. Of course, writing fiction is a whole different thing from what I had done in the past. My interest in writing fiction started with reading a lot of novels and marveling at the stories that authors created. I love trying to imagine events that have not occurred and to put them down on paper in a way that people will enjoy reading. This is my first novel, so I am learning a lot in the process. 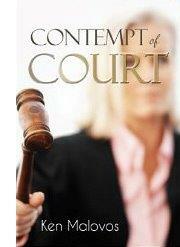 Q: What was your inspiration for Contempt of Court? A: In thinking of a good story for my book, I thought of a case that that happened a few years ago, when a judge threatened to hold some of the attorneys in contempt of court for not turning over financial documents. The attorneys stood up in court and told the judge that they would not obey his order because they were under another order from another judge not to turn over the documents. The first judge was not deterred. So, the question was how far does an attorney go in standing up in court and telling a judge that he or she is not going to obey the judge’s order? Isn’t it just easier to give up and avoid the hassle? That was the start of this story. It is not a common situation in the law, for sure. Q: What themes do you like to explore in your writing? A: I like to explore the themes that are common to trial lawyers, such as regret, justice and fairness. Also, there is the theme of total frustration when a lawyer can do nothing to help someone in need. I especially like to explore the theme of the personal impact on a lawyer of trying a case in court, whether it is elation, disappointment or failure. What is the impact on the lawyer’s family? I am familiar with all of these feelings, so exploring them seems natural. I also like exploring ideas that are new to me such as how someone reacts when a loved one dies or how far someone will go to save a loved one in peril. What does true friendship or love mean? Another theme that I like to explore is how to handle a huge set back in life, something totally unexpected, maybe something embarrassing. Q: How long did it take you to complete the novel? A: This novel took five years and ten revisions. I did not work continuously on it, as I have an active law practice, working as a mediator and arbitrator. So, I would find time on a weekly or monthly basis to work on the manuscript. It was always in the back of my mind and I spent a huge number of hours just thinking about it, thinking of transitions or plot twists or ways to make the novel more exciting. I wrote a lot of outlines and changed most of them. I deleted a lot of writing out of a lot of earlier drafts when I realized that some portions just were not needed to advance the story. Part of the reason why it took me so long was that I was learning how to write fiction at the same time. I took some courses, both live and online, and I read quite a few books on writing. I listened to CD’s from lectures by writers. It was all inspiring but it usually meant that I saw something in my manuscript that needed to be changed, so that brought about a new revision. I am sure that my next one will not take as long. Q: Are you disciplined? Describe a typical writing day. A: I am not disciplined. In fact, I often look for ways to procrastinate. Whenever I get back into a manuscript, it takes an effort because I cannot write every day, due to my day job. The effort is to try to remember everything that has happened so far and to not repeat myself or change some fact. I am getting better at this. I need to consult my notes a lot, just to be sure that I am being consistent in my story and my character. When I have a full day, which is not often, I start around 10 in the morning, after I have done my daily internet surfing and after playing a few games of solitaire. I stop for lunch and go to about 3 in the afternoon, maybe later if I am really on fire. I will think about what I write in the evening and make some notes about changes or plot lines that I will pursue. I can think about my manuscript while I am reading other books, jogging, watching television or taking a shower. It seems as if the story just sticks right in the center of my brain. Q: What did you find most challenging about writing this book? A: The biggest challenge for me was creating a believable and interesting story. I started with something that I knew from personal experience and tried to enlarge it into a complete plot with likable characters. I added sub-plots and details. But it took time. I always asked myself if a reader would be engaged in my manuscript, as I was writing. Would they find it interesting? Would they relate to the characters? It was hard for me to be as objective as I wanted to be, although I think I got better the more I wrote. Another challenge was making changes to a manuscript. It is a whole lot harder than it would seem. If you change something on page 32, you basically have to read the entire manuscript to be sure there are no inconsistencies in the other 250 or so pages. The internal consistency and logic was a struggle. Q: What do you love most about being an author? A: I love most the pure ecstasy when I am alone, sitting in front of my computer and writing, especially when I have figured out exactly what I want to say. It means that I have given a great deal of thought to the particular passage or chapter and have a clear plan for what will happen. Even when I have not figured out exactly what to say, there are times when it just comes to me, as I write. It is obvious and it feels right. There is pure joy in writing at those times. I have started sometimes in this writing mode in the morning and all of sudden realized that it is 5 p.m., with no recognition of the passage of time. I have to say that there are other times when it does not come so easily. Then I have to grind it out. But as long as I am making progress, it is still very exciting. I am creating something out of nothing. A: I am at www.malovoslaw.com. However, most everything at this website is about my legal work. It does tell you who I am and what I do. And I have written about my novel and the writing process. My book is available on amazon.com, in paperback and kindle and at smashwords.com.